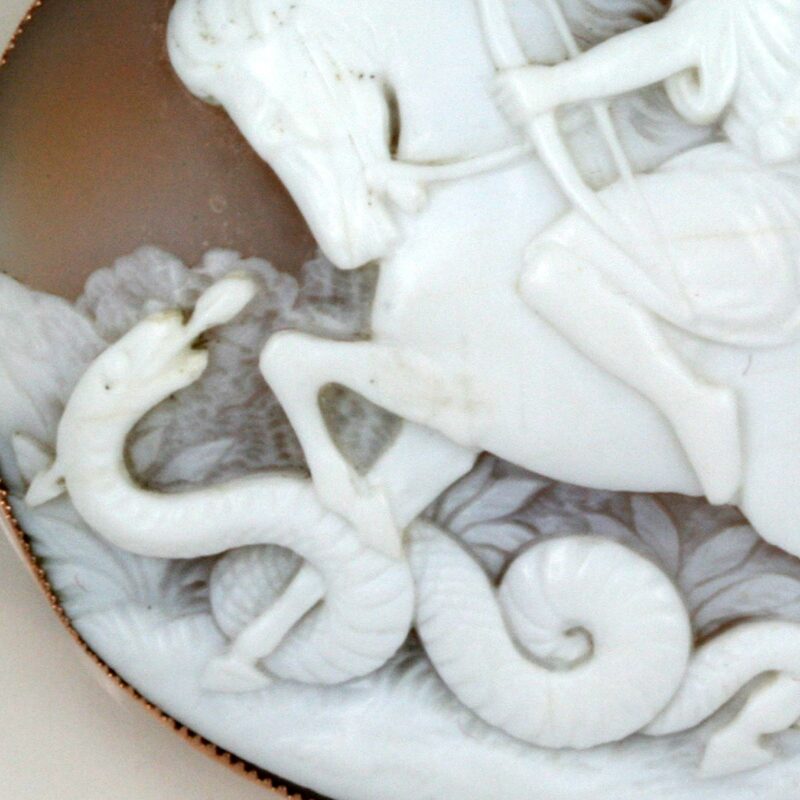 Antique cameo brooch made in 1914. Product code: 1502 Categories: Sold Items, Sold Jewellery. 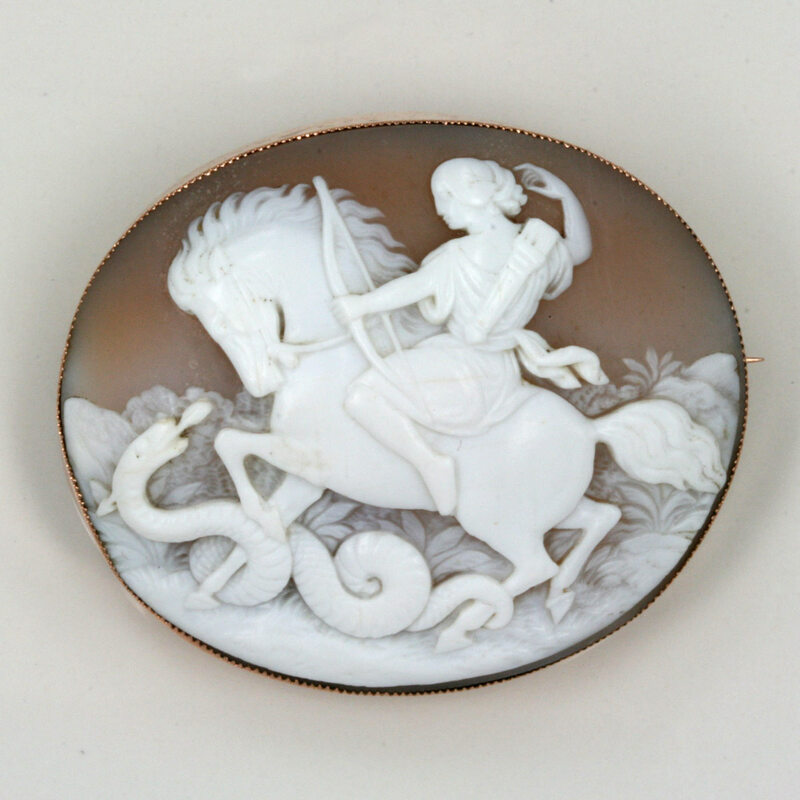 What a wonderfully detailed antique cameo brooch that was made in 1914. With a magnificent scene of a woman archer on horseback killing a snake, this cameo will always be such a talking point. The detail is just wonderful and exactly what one would expect from a fine carver of cameos. Measuring 5.4cm (w) x 4.5cm (h), this antique cameo is simply superb.